Bandwagon is one of the longest running, locally produced, entertainment programs in the history of Minnesota television. KEYC News 12 first aired the 30 minute musical show on Monday, November 21, 1960 at 8:30pm live as a celebration of KEYC News 12 going on the air. The official name “Bandwagon” was not given to the show until March 30th, 1961. Music, dancing, anniversary, and birthday greetings. Bandwagon features outstanding bands from all over the United States and audience participation. 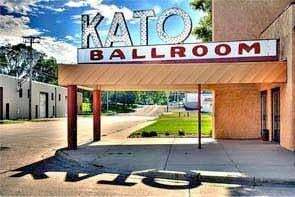 Come join the fun and entertainment the first Monday of every month at 6:30pm, $8 charge at the Kato Ballroom. Check out the schedule of bands to see the lineup as well as dates of each taping. The ballroom has a large dance floor, air conditioning, food, and beverages that make the experience of Bandwagon all the more enjoyable!